Sushi is a Japanese staple that is enjoyed by people all over the world. At first glance, it seems rather simple—rice, fish, and a topping. However, when you take a closer look at sushi, you’ll find that good sushi is a true work of art. 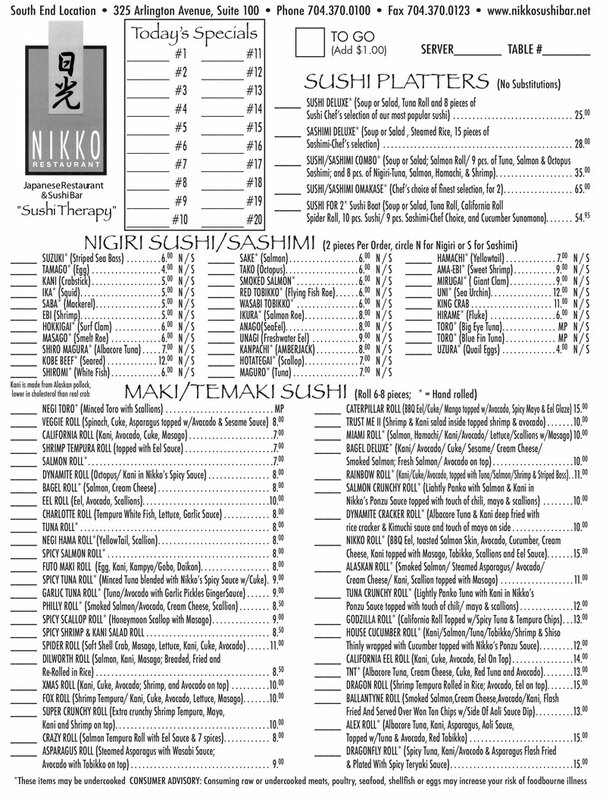 At Nikko Japanese Restaurant & Sushi Bar, we consider ourselves sushi artist. Because of our pride in making the very best possible sushi and Japanese food, we have earned a reputation for serving up some of the best sushi in Charlotte. In fact, we were voted by the “Best of Charlotte” as being the destination for “The Best Sushi Experience.” Ready for some seriously good sushi? Come see us today!